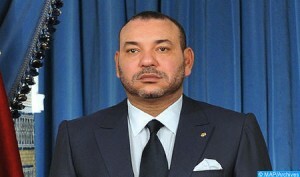 King Mohammed VI has sent a message of condolences and solidarity to French President François Hollande, following the terrorist attack on the Charlie Hebdo editorial office. In this message, the Sovereign said that “it was with deep sorrow and grief that He learned the sad news of the cowardly terrorist attack against the editorial office of the Charlie Hebdo weekly in Paris”. Firmly condemning this “heinous act”, HM the King offered to the French President, the families of the victims and the friendly French people, His deepest condolences and His wishes for a speedy recovery to the injured.